NSCADU:BFA, Major in Textiles/Fashion - As a Textile Artist, I begin by dying and printing silk, using a technique known as EcoPrinting; forcing natural dyes out of foliage to create original textiles, in extremely limited quantities. 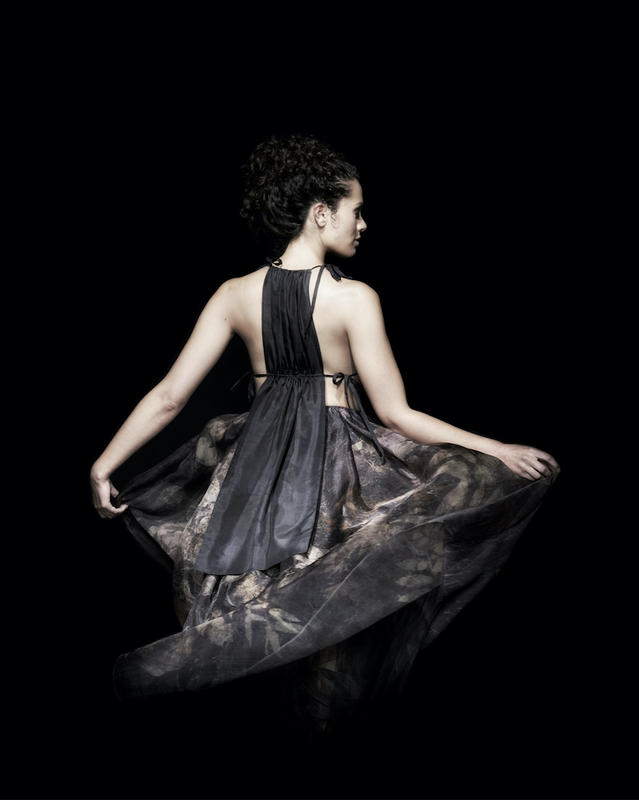 As a Fashion Designer, I use these silks to create one-of-a-kind garments and accessories; designing each with a low-waste/minimal-cut approach, allowing the unique qualities of each textile to shape each finished, original garment. Donn dyes/prints silks with a technique known as EcoPrinting; using natural dyes from leaves to create original textiles; then using the silks to create one-off scarves, and bespoken garments with a low-waste/minimal cut approach.